Please join us for a fascinating program featuring Emily Coppel of BRAC USA, an affiliate of BRAC. Emily will share her experiences in the field in Bangladesh, Uganda and post-Ebola Liberia and Sierra Leone where community health workers fought tirelessly to stop the spread of Ebola in the midst of a catastrophic outbreak. Based in Bangladesh, BRAC is ranked the No. 1 nonprofit in the world and has more than five million microfinance clients. Its network of 48,000 schools is the largest private, non-religious school system in the world. With operations in 11 countries, BRAC has more than 100,000 active community health workers, as well as legal advisers, agricultural programs and its own university. 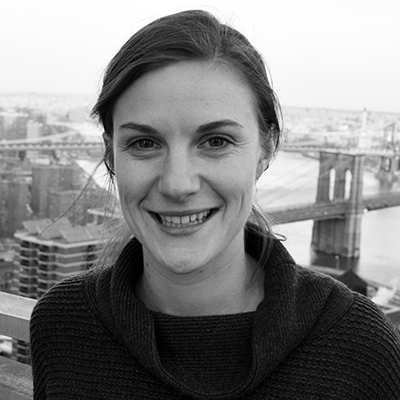 Emily Coppel is the senior communications and marketing associate and communications lead at BRAC USA, where she oversees outreach, communications and public fundraising to garner support for BRAC in North America. Emily brings a background in multimedia journalism and nonprofit program management of youth education programs, with previous experience in New York and Johannesburg, South Africa. Her work has been featured in the Mail and Guardian newspaper, the Guardian, KBIA radio (an NPR affiliate) and NextBillion. She has contributed to publications in the Harvard Business Review. Emily is passionate about finding engaging ways to tell stories that empower disadvantaged communities. Registration is required. This program is only open to AGF members. This entry was posted in PastPrograms2016 on November 21, 2016 by Kim Garbacz.